Mohammed Kaiseruddin, Chairman of the Council of Islamic Organizations of Greater Chicago, says the Council will not investigate whether community leaders may have known about prior alleged misconduct by a religious scholar. Updated March 16, 2015 regarding the role of Abdul Malik Mujahid. As the criminal trial gets underway for a prominent Islamic scholar charged with sexual assault, some Chicago-area Muslims are calling for an investigation into what community leaders may have known about prior allegations of misconduct. 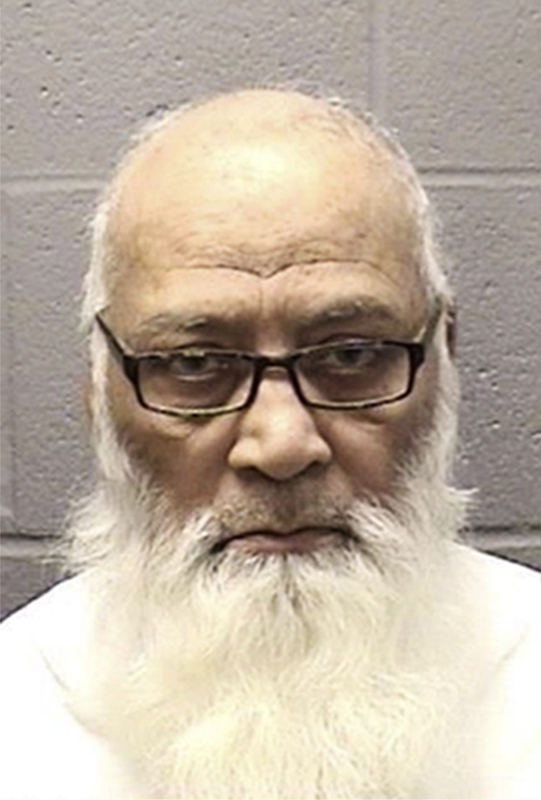 Mohammed Abdullah Saleem, 75, has been criminally charged with assaulting a female employee at the Institute for Islamic Education, a religious school he founded in west suburban Elgin, Ill.
Additionally, Saleem has also been accused in a civil lawsuit of assaulting three other females who were students at the school. When the allegations first surfaced in early December, a number of people both inside and outside the leadership ranks, called on the Council to act. After much back and forth between members of its House of Representatives, a body made up of leaders of its member organizations and former Council chairmen, it issued a statement. But the statement prompted a furor of debate on social media. Critics said it wasn’t strong enough in voicing unequivocal support for any victims of sexual violence. Others said it perhaps struck an overly-deferential tone toward Saleem. In the wake of that early statement, many have been heartened to see the Council adopt a firmer tone of support for victims and victims’ advocates. Yet some have accused the Council of sidestepping a potentially embarrassing and painful investigation of what its own leadership, and religious figures in the community, might have known about misconduct in the past. “The other component is to understand who within the community knew about this, and how we can address their understanding of what to do in these circumstances so we can prevent other victims from having to carry the burden into adulthood,” said Humaira Basith, co-founder of the Mohammed Webb Foundation and a member of the CIOGC House of Representatives. Basith pointed to the revelation that a member of the Council&apos;s House of Representatives, Imam Abdul Malik Mujahid, claimed to have heard about allegations against Saleem nearly ten years ago. In statements posted to Facebook and on the Council leadership listserv, Mujahid asserted that two religious leaders had quietly mediated a previous case involving a girl, that led to banning Saleem from offering Friday prayers at the mosque for two years. While Mujahid claimed to have heard this from one of those imams, he declined to identify them publicly. “And ultimately, that is really how the community came to know that this is a known issue with Abdullah Saleem,” said Basith. "I have championed the cause of opposing violence against women all my life. Many non-Muslim women have informed me of their ordeal. However, no Muslim victim has ever told me about a sexual crime nor have I been a part of any mediation. I have informed Elgin police about hearsay knowledge of a mediation dealing with Abdullah Salim. I believe, however, that only the victim or her chosen mediator can disclose it to (the) public. Filing a report with police is the best option in my view for any criminal activity rather than mediation." So far, other Council leaders have not taken up her call. “Briefly, at this time the council does not feel the need to investigate and identify the imams,” wrote Kaiseruddin in response to a query from WBEZ. “My guess is that these are answers they may not want to have,” said Basith. Still, Kaiseruddin, and many others, said the Council deserves credit for other steps it has taken. The Council is developing guidelines on sound bylaws for its member organizations, in order to avoid another situation where an administrator has unquestioned authority like Saleem did at IIE. It’s also reviewing sexual abuse policies at Islamic schools throughout the area. “Everybody came to the conclusion they need to upgrade their policies, and they wanted CIOGC to play a role,” said Kaiseruddin. Eman Aly said the Council’s involvement has done a lot of good in cracking open the taboo topic of sexual violence in the Muslim community. Aly, a social worker, helped persuade the only victim to file criminal charges against Saleem. She said she believes the Council should investigate whether leaders in Chicago’s religious community know about other cases of misconduct — so that if there are more victims, they get help.